Need more space? Lark Rise (sleeps 11 plus cots) and Robins Nest (sleeps 4 including cots) can be booked alongside Dove Cottage for large families or groups of friends looking to holiday together. Lark Rise and Robins Nest can even be joined together via an internal lockable hallway, thus creating one extremely spacious house. Discounts may apply when booking multiple cottages - contact us now with your preferred dates to find out how much you can save. Dove Cottage is a traditional 'Charentais' stone cottage with exposed beams, beautiful stonework and a fireplace with log burner. Featuring an open-plan lounge/kitchen/diner, three bedrooms and two bathrooms, Dove Cottage is perfect for families. Facing south, Dove Cottage enjoys a sunny aspect with views across the walled garden to fields beyond. 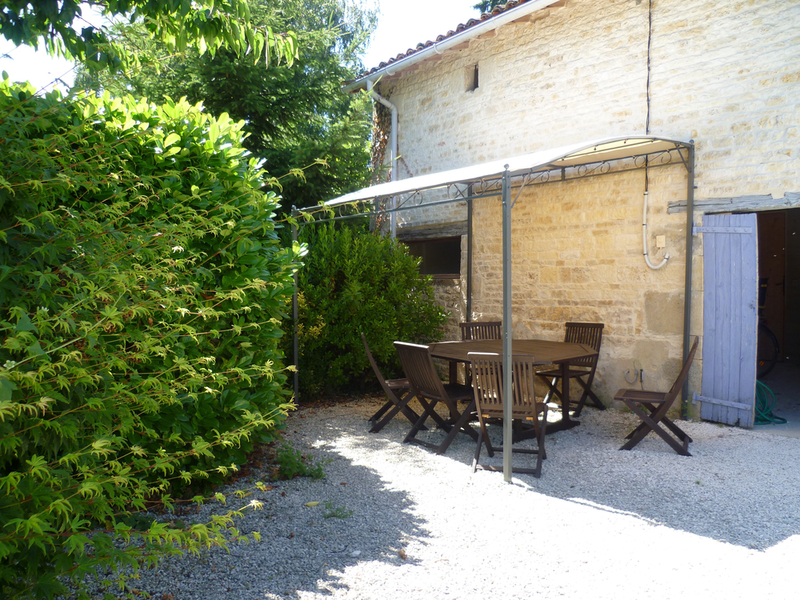 It has its own terrace area with table, chairs , shady pergola and BBQ, plus an additional table and chairs under the trees if required. Our guests can enjoy our spacious walled ‘child friendly’ gardens, including a luxury in-ground Heated Swimming Pool (walled and security gated) plus a massive Sandpit with Factor 50 Sun Sail and pirate ships bow. 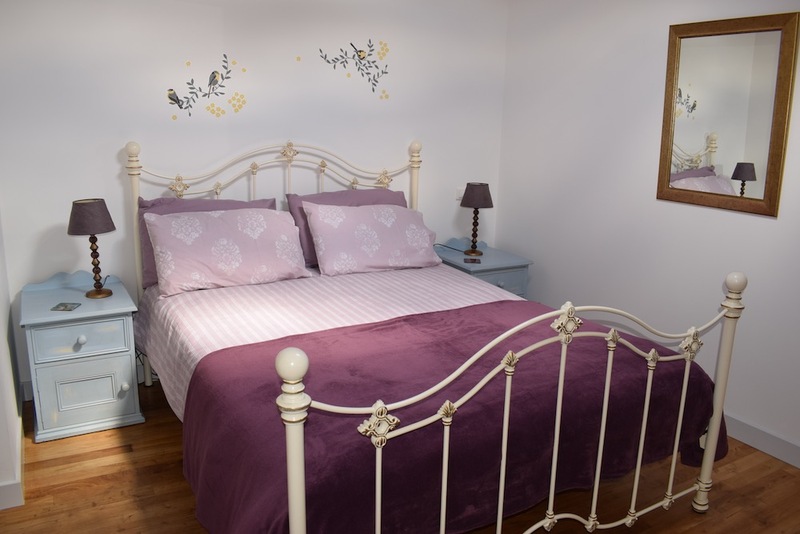 King-size double bedstead, space for cot. Twin with adult size divans, space for cot or extra bed. Includes bath (slightly shorter tub ideal for babies, toddlers and young children), toilet and basin. Includes thermostatically controlled shower, toilet and basin. Lounge area with lovely fireplace and log burner, two large comfy sofas, armchair, coffee table, english TV and Blu-ray player. Fully equipped Kitchen/Dining area with dining table and chairs, full size cooker, fridge-freezer, microwave, dishwasher and ‘walk in’ larder.